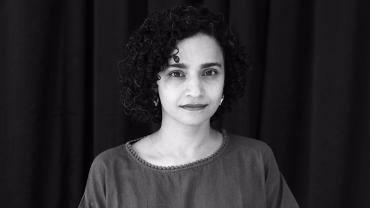 Sooni Taraporevala is a photographer, screenwriter and film-maker, and has written the screenplay for films like Salaam Bombay! and Mississippi Masala. Sooni Taraporevala is a photographer, screenwriter and film-maker, and has written the screenplay for films like Salaam Bombay! and Mississippi Masala. She also wrote and directed her first feature film Little Zizou in 2008, which won a National Award, among others. 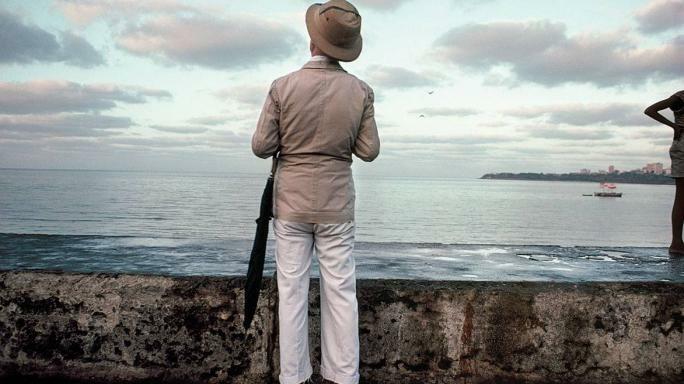 From her ongoing series on the Parsi community, this is the famous shot of a man in a sola topi gazing out at the sea. A project that had started 42 years ago for the photographer “nostalgically and personally”, grew into a photographic study of the Parsis that went beyond her immediate family. Boman Desai, in his review of her book of photographs PARSIS: The Zoroastrians of India; A Photographic Journey, while discussing this image, suggested that “it could also be symbolic: a Bombay Zarathushti gazing at his Irani homeland across the sea”.